SALARY: £25,000 (1xFTE & 1x.5FTE Salary pro-rata 18.5 hrs pw) Please specify in your application which FTE you are applying for. Please state both if you have no preference. Answering to the Senior Vision Loss Advisor, these posts will be responsible for working closely with the Employment Engagement Coordinator for East Wales, Volunteer Coordinator and a Support Worker. To enable people with a range of disabilities or health conditions (including vision loss and sight impairment) and those facing disadvantage to access, obtain and maintain paid employment through training and support in the workplace. The role requires someone who is experienced at giving advice, support and/or mentoring and has previously worked or volunteered with people who are Blind or have sight loss. To take on jobseeker referrals for work and assess their preferences, skills and support needs with regards to employment utilising a range of methods. To assess individuals’ preferences, skills and support needs with regards to employment. To support, counsel and advise the jobseeker in relation to their pursuance of employment or in relation to employment issues. To co-ordinate and deliver JobClub activities that includes the provision of a range of pre-employment interventions to support jobseekers with their quest for employment. To teach both accredited and non-accredited training/courses for a range of employability programmes/workshops. To liaise with employers and negotiate paid employment opportunities, work trial placements, or volunteering opportunities for an allocated caseload to meet the needs of the individual and project targets. To lead presentations to employers, partners and other groups to raise the profile of our services. To be aware of welfare benefits issues and provide financial advice and guidance in relation to better off in work calculations. To co-ordinate all identified project activities in line with the needs of the funders of specified projects for example In Work Support, Access to Work and Supported Permitted Work applications. To negotiate customer spend up to an agreed amount by Line Manager/Team Leader should this help move sustain or advance a customer within employment. To monitor the progress and performance of the jobseeker/worker and keep appropriate records in line with the needs of our Funders with the aim to achieve sustainability in order to meet Project outcomes and compliance. To maintain regular contact with the employer to ensure and assist the new worker to meet expectations, with the aim to achieve job sustainability in order to meet Project outcomes. To liaise with the Volunteer Co-ordinator to maximise volunteering opportunities for Volunteer Peer Mentors and Volunteer Mentors within the organisation and the co-ordination of their training activities. To carry out other long term specified agreed alternative duties within your existing role in line with the needs of the business and staff personal development. See examples below (this list is not exclusive or exhaustive). To lead and implement strategic activities in conjunction with the Employer Engagement Team to contribute to multiple successful job outcomes and contract performance on a continuous basis. To lead on the development, design, delivery and evaluation of a range of pre-employment training packages. To act as SPOC for an identified activity (either internal or external) on a long-term basis for example; ATW, Welfare Benefits, Named Database Superusers/Champion, Health and Safety Compliance, initial engagement/marketing of a service. Provision of accredited or non-accredited internal staff training or external training to partners.networks on a regular basis. To lead in the role of Internal Verification for an identified awarding body and related units of learning /qualifications. To work flexible hours in various locations to meet individual requirements of the jobseeker/worker and job. Recognise and work within the organisation’s quality system and standards, that encompass those of our funders. To be aware of and adhere to the Safety at Work Act, Equality Legislation, GDPR and Safeguarding. Contribute to COS marketing activities to promote positive examples e.g. case studies. To work as a member of the team, taking part in regular supervisions, meetings and appropriate training. To conduct any other duties commensurate with the grade of the post as required and in line with the needs of the business. To work closely with the Senior Vision Loss Advisor and North East Wales Employment Engagement Coordinator. 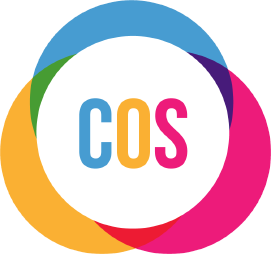 To work with a small team of Vision Loss Advisor, a Support Worker and a Volunteer Coordinator for people who are blind or partially sighted to deliver supported Employment services to meet COS contractual obligations within the JobSense Project. Effectively coordinating and delivering activities and resources to deliver the JobSense objectives. 2 years’ experience of managing resources and management systems and the ability to motivate support those with sensory loss and/or other disability looking for training and employment. Prepared to work flexible hours including Bank Holidays and weekends according to the needs of the job. Experience of publicity and promotion activities. Understanding of employment issues faced by customers with various needs and experience of working with disabled/ disadvantaged people in employment focused programmes including Vision impairment and sight loss. Experience of delivering accredited and non-accredited training/vocational skills to the required standard to groups or individuals. Ability to prioritise and co-ordinate your own workload and that of others to include identifying problems and opportunities and work in a proactive manner.